The AAR has announced a new long-range plan that provides a framework for growth and change in the coming years. 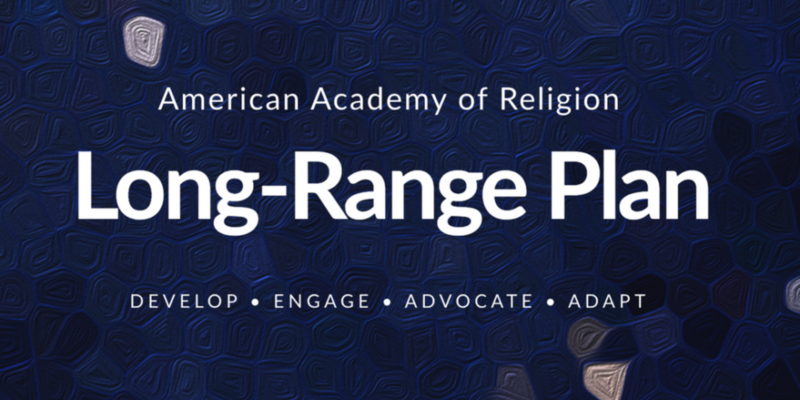 Organized around four key priorities, the plan addresses concerns from AAR members, issues faced by religion scholars and humanities professionals, and the rapid spread of misinformation in the public sphere. Visit the microsite to learn more about the four goals, select initiatives, and relevant work being done by AAR leadership groups.